Ball Fittings: Create a stylish railing system with our wide selection of ball fittings and railing connectors. 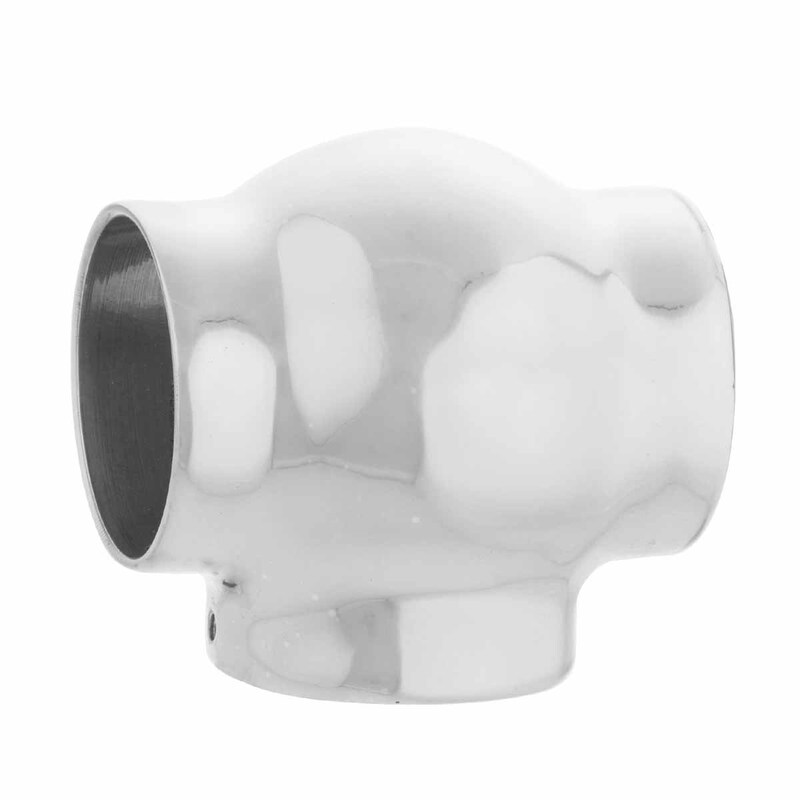 This T connector provides a ball fitting mount look to your chrome railing. 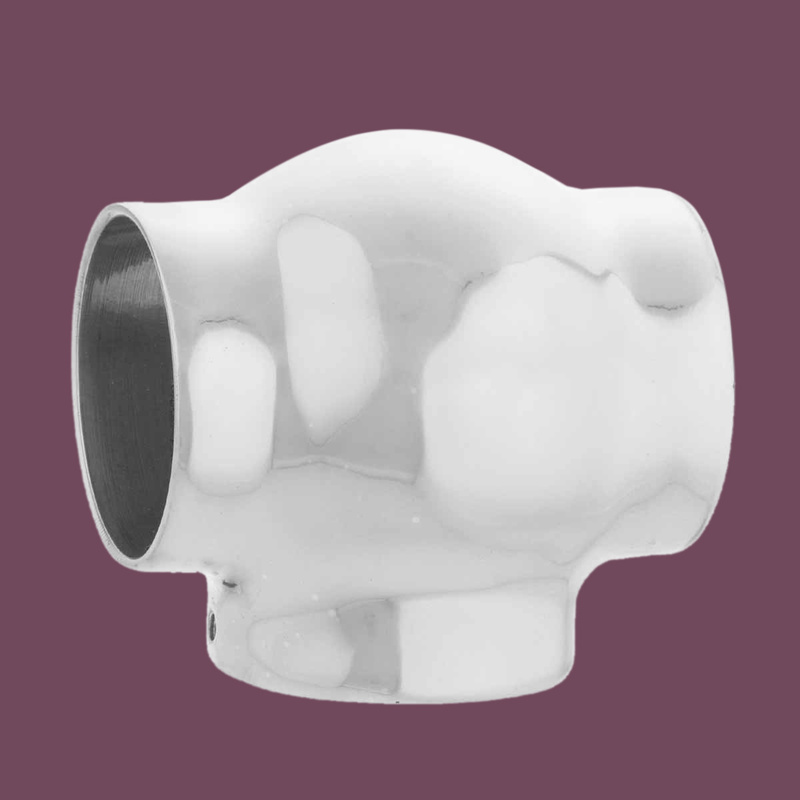 Made of 100% solid brass this connector has a tarnish-resistant chrome-plated finish. 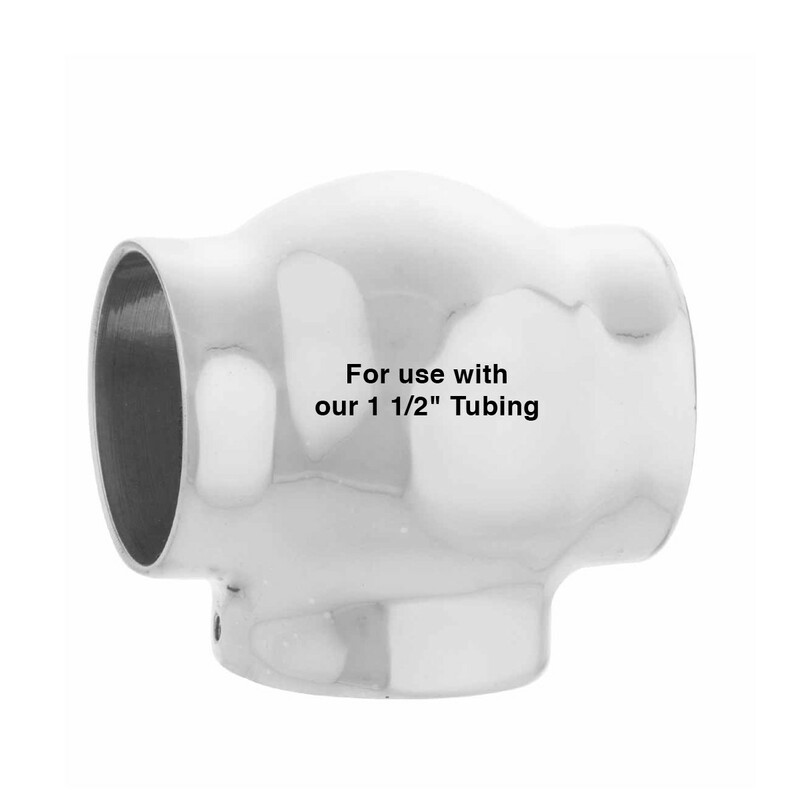 Sold individually, fits tubing size 1 1/2 in. diameter.